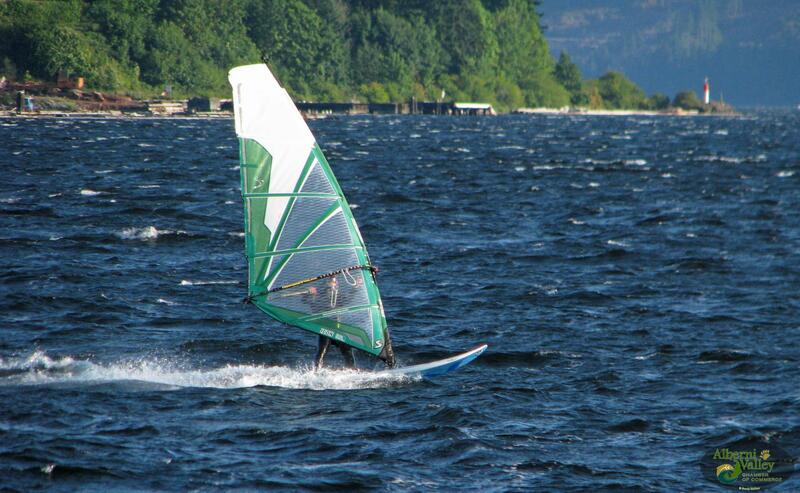 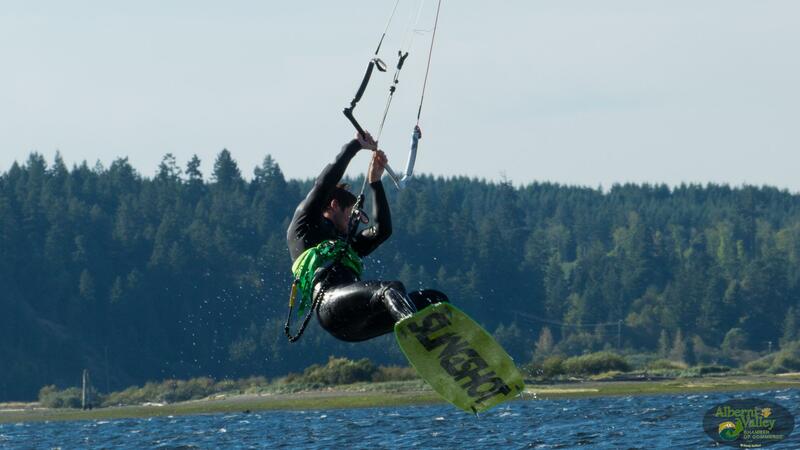 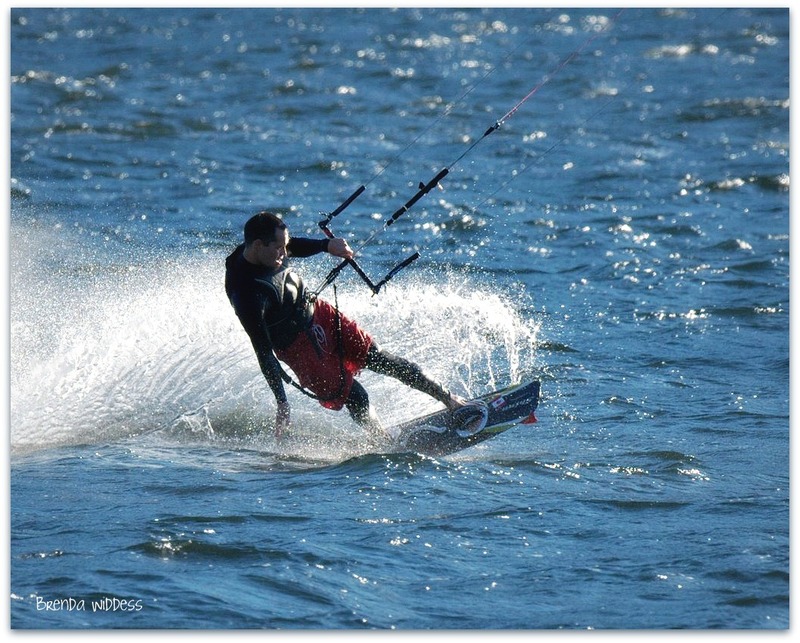 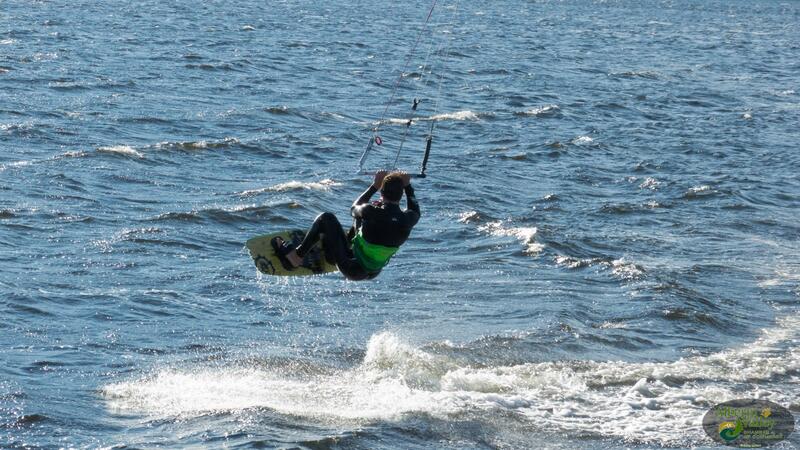 A relatively new attraction to the Port Alberni Waterfront is the magic of the Kite-Boarding Community along with the Wind-Surfing enthusiasts and Stand Up Paddle boarders. 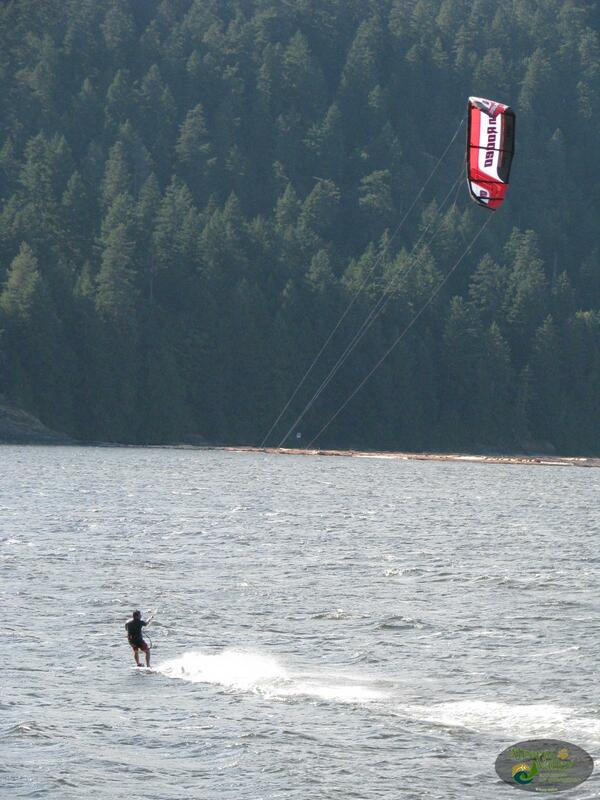 The Alberni Inlet features a unqiue weather pattern that results is predictable summer winds that pick up in the mid to late afternoon especially on the hotter days of which the Alberni Valley gets many! 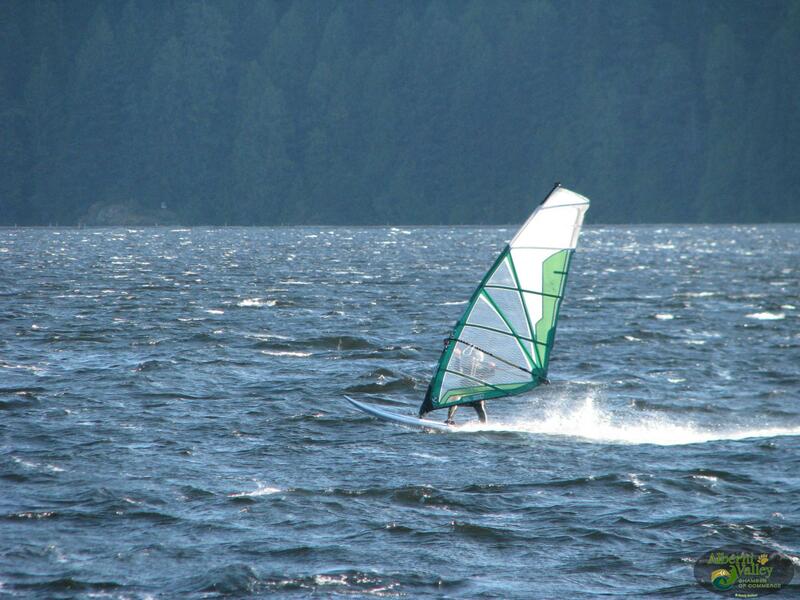 In fact, Port Alberni is the usual hot spot of the Island often being more than 10 degrees warmer than its West Coast neighbours of Tofino / Ucluelet. 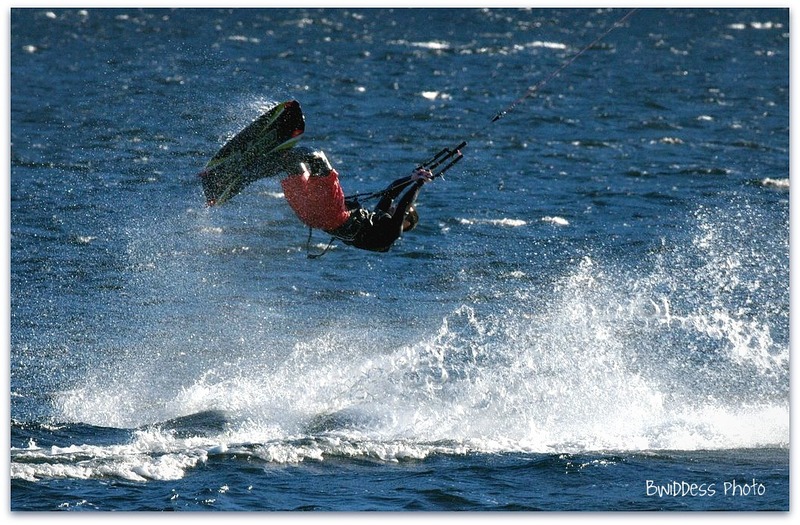 The heat of the Valley results in the Thermal Winds and because of that the wind enthusiasts are often out in full force by 3-4pm on a daily basis. 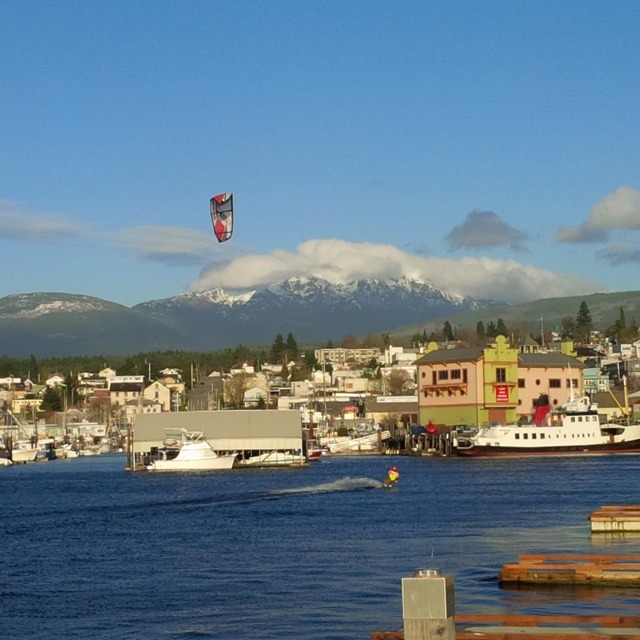 By then the Fisherman have caught their limits, have filleted their Salmon and are now back at Centennial Pier, or pretty much anywhere along the Harbour Quay waterfront to enjoy the heroics of the Wind- Community. 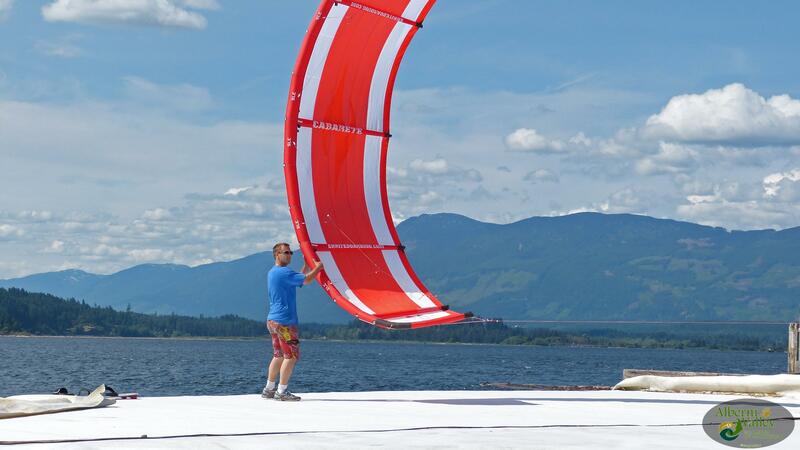 Considered by many in that Community as the best area for such activity north of California - Port Alberni is fast becoming known as a destination for those seeking the power of wind.